PCB or circuit board design is a commonly used skill, both in engineering and in many DIY projects. It is also a more accessible skill than ever, especially after microcontrollers such as Arduino captured the interest of more people. There are countless tutorials and online resources to use; there are even DIY projects to try too. PCB design is also much easier to do these days. Thanks to design software and unified platforms, designing your own circuit boards is no longer as tedious as it used to be. 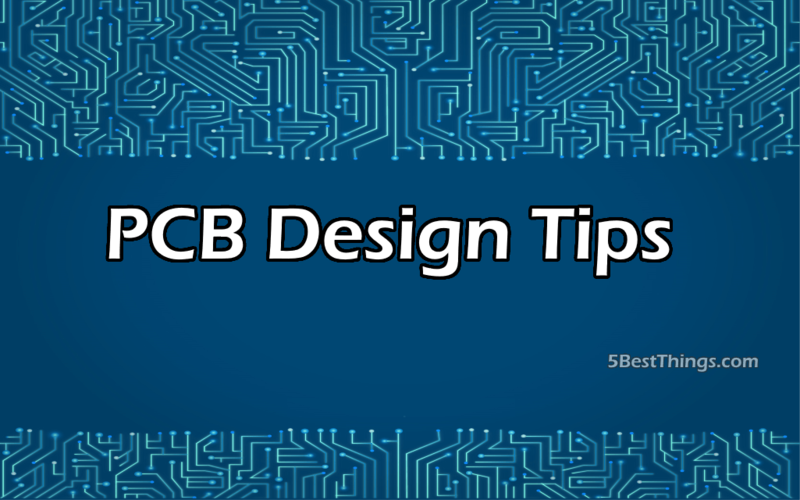 These next several tips we are going to discuss in this article will help you be even better at PCB design in no time. A PCB trace is designed to handle a certain amount of current. With most designs, the standard width should be able to handle a common current of a few hundred milliamps without a problem. If you want to channel more current than that, however, the standard width will not be sufficient. You can use a trace width calculator to determine the required width based on the amount of current you want to channel. You can also rely on the PCB software to automatically calculate the required trace width; this is one of the advantages of using a unified design software. There is another advantage of using a unified PCB design software such as Altium, and that is the ability to automatically check for errors. Simply have the software run a check on the schematic and board design and you will get feedback on possible issues in an instant. Even with the automated check, however, you must also understand how to spot potential errors in your circuit board design manually. This is an invaluable skill that cannot be replaced by software. Most errors are obvious, making spotting them easier. Certain parts require a supply of clean and stable voltage, so when designing a good PCB layout, the best way to provide that supply of power is by using a decoupling capacitor. There is only one thing to keep in mind when using decoupling capacitors, and that is to place them as close to the pin that requires clean power as possible. You can also add a low-pass filter to remove supply noise from the power module. This is usually done by adding a series inductor to the board. It is a common practice that will help protect sensitive – often expensive – parts from unstable power. Last but certainly not least, learn to optimize your board and the traces of it. You want high-speed traces to follow the shortest possible path. In fact, knowing how to keep traces short and efficient is one of the skills that will set you apart from other engineers (and hobbyists). Once again, you can count on the PCB design software for some assistance, but you shouldn’t rely on the software entirely. Design platforms are capable of optimizing board designs to a certain degree, but it is up to you to enhance the design. After all, that’s where all the fun of PCB design lies.